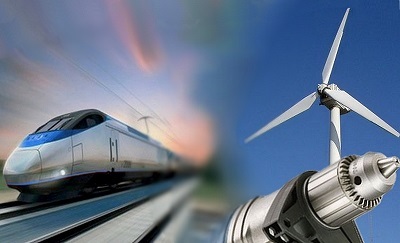 Electrotechnical Parts Manufacturer „EMA – Elektrocarbon” was established in 1930. After the World War II in 1945 the company was developed, production was begun and included: production of brushes, brush-holders and commutators. 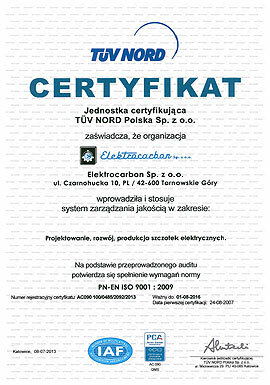 The name of the company was changed from „Elektrografit” into „Elektrocarbon„. On 8th April 2008 the Minister of State Treasury carried out a transformation of the state-owned enterprise factory of electrotechnical components „Ema-Elektrocarbon” into an Ltd. company „Elektrocarbon”. The company has been well known and esteemed producer of brushes – electrical machinery parts. Furthermore, the company renders services of performance of galvanic covers – zinc and tin covers. In 1999 factory implemented the quality management system DIN EN ISO 9001. Reimplementation was done in 2002. In 2003 company was granted the Quality Management System certificate ISO 9001:2008. The certificates no. 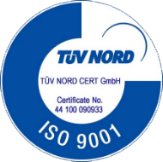 44 111 071589 was granted TÜV CERT-TÜV NORD Hannover.